After all, what’s summer without going to a festival, right? School’s out and summer is the perfect season. The pulsating electric sounds establish a good rapport and drive the omnipotence in a crowd. I’m not talking about the highs about drugs, but I am talking about the highs one gets during festivals with everyone’s energy. The whole experience is one of the biggest components in festivals, it’s about meeting people, exploring, grooving into the music, celebrating with friends, and having a good time. Luckily, you’re reading the right thing, Long Beach for years has held various festivals of all kinds. Now let’s see the festivals you should invest in during the next couple of months. Here’s a cheap event that is affordable and fills you up. The event is free for entrance and cost $1 per food tasting. You will be trying some of Long Beach Downtown’s best culinary chef’s food and be given a portion size of their best meals from their restaurants. The good thing about Taste of Downtown is that there’s live entertainment, delicious food and several drinks to choose from. If you decide to purchase the $1 meal tickets online, you will be eligible to win a family 4 pack of tickets to the Queen Mary or The Aquarium of the Pacific. If you aren’t sold yet, then here is the list of restaurants that are joining the event and who knows, maybe you’ve been wanting to go to these restaurants so save some bucks. The restaurants are: The Auld Dubliner, Buono’s Authentic Pizzeria, Cafe Sevilla, Crepe Crafters, District Wine, The Federal Bar, George’s Greek Cafe, Gladstone’s, James Republic, Linden Public, Loose Leaf Boba Company, Padre, Parkers’ Lighthouse, Planet Junkie Cafe, Q Smokehouse and Utopia. Go celebrate, dance and vibe with the LGBT community. The annual pride event comes around to Long Beach this summer and the parade will be held on the 20th. Heck, if you come early on Sunday to the parade, you’ll get a free entrance to the festival. On both days, there will be live performances by Grammy nominated artists and Dj’s. If you love live music, then this is an event that you should check out during Summer. The Long Beach Jazz Festival will be celebrating its 31st anniversary. Come celebrate the music and check out artists from R&B to cool jazz. This event is held near a lagoon, so come look at the view and enjoy laying on some grass. It’s an outdoor event, so make sure to bring some blankets, some sweaters and enjoy the music. There will be vendors and drinks so groove on and relax. Time: Friday 6 p.m.-10 p.m. Saturday and Sunday 1 p.m. -10 p.m. 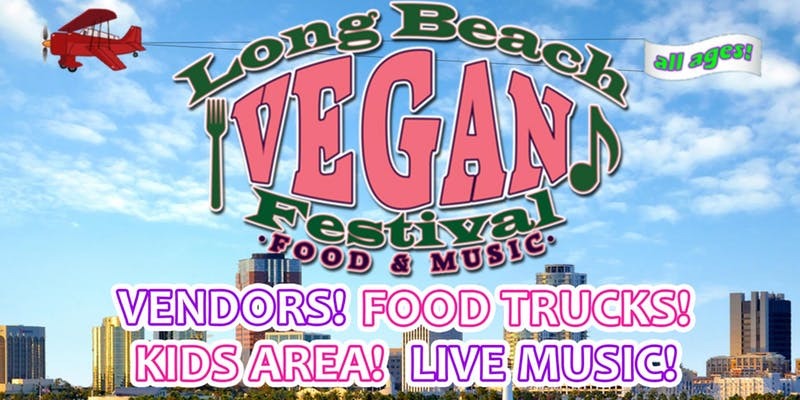 If you’re a vegan and you haven’t heard of the Long Beach Vegan festival, then this is one of the festivals you should check out during the summer. Even if you aren’t a vegan, there’s food and live musical performances. The festival even has fun activities, earth-friendly merchants, creative art installations and a vegan chili contest. It’s an outdoor event and you can bring blankets to lay on the grass or even bring beach style lawn chairs to relax. So go listen to the music and try out some vegan food this summer.